IMPLANET (Paris:IMPL) (OTCQX:IMPZY) (Euronext Growth: IMPL, FR0010458729, PEA-PME eligible; OTCQX: IMPZY), a medical technology company specializing in vertebral and knee-surgery implants, today is announcing that it has transferred the liquidity contract previously entered into with Oddo Corporate Finance to Tradition Securities And Futures (TSAF) effective December 1, 2017. The liquidity contract entered into with TSAF complies with the AMAFI Code of Conduct for Liquidity Contracts approved by the Autorité des Marchés Financiers on March 21, 2011. The liquidity contract has been agreed for a term of one year to enhance the liquidity of trading in Implanet shares (ISIN code: FR0010458729 – Ticker: ALIMP) listed on the Euronext Growth Paris market. Founded in 2007, IMPLANET is a medical technology company that manufactures high-quality implants for orthopedic surgery. Its flagship product, the JAZZ® latest-generation implant, aims to treat spinal pathologies requiring vertebral fusion surgery. Protected by four families of international patents, JAZZ® has obtained 510(k) regulatory clearance from the Food and Drug Administration (FDA) in the United States and the CE mark. 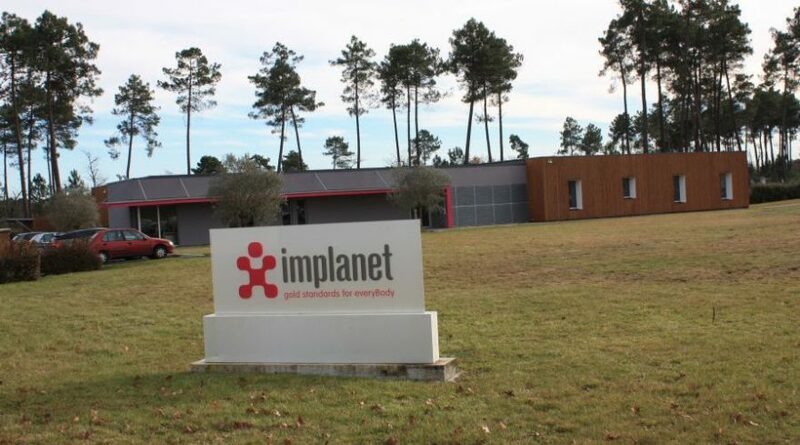 IMPLANET employs 48 staff and recorded 2016 sales of €7.8 million. For further information, please visit www.implanet.com. LEESBURG, Va., Nov. 30, 2017 (GLOBE NEWSWIRE) — K2M Group Holdings, Inc. (NASDAQ:KTWO) (the “Company” or “K2M”), a global leader of complex spine and minimally invasive solutions focused on achieving three-dimensional Total Body Balance™, today announced the completion of 300 surgical cases using the RHINE™ Cervical Disc System*. The announcement was made during the 12th Annual Meeting of the German Spine Society, occurring November 30–December 2, 2017, in Stuttgart, where the Company will exhibit its comprehensive product portfolio and the Balance ACS® (BACS®) platform at Stand #73. The RHINE Cervical Disc System* is an artificial disc replacement that features a one-piece compressible polymer core design with dome-shaped, plasma-coated endplates and a central-split keel. 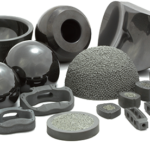 Proprietary molding technology is incorporated to minimize wear between the polymer core and metal endplates. The system’s instrumentation simplifies spinal surgery by integrating trialing and keel cutting into one instrument. A built-in adjustable stop allows for customized anterior or posterior positioning of the disc based on surgeon preference. The RHINE Cervical Disc Prospective Observational Clinical Study is presently gathering additional operative data and feedback to confirm device performance, including radiographic data and clinical outcomes. In addition to the RHINE Cervical Disc System*, K2M will showcase differentiated spinal technologies from its comprehensive complex spine, minimally invasive, and degenerative portfolios. These products include the 3D-printed CASCADIA™ Interbody Systems featuring K2M’s Lamellar 3D Titanium Technology™, the EVEREST® Minimally Invasive XT Spinal System, the NILE® Alternative Fixation and NILE Proximal Fixation Spinal Systems, the MESA® Deformity Spinal System, the SAHARA® AL Expandable Stabilization System, and more. K2M will also feature its Balance ACS platform, which provides solutions focused on achieving balance of the spine by addressing each anatomical vertebral segment with a 360-degree approach to the axial, coronal, and sagittal planes, emphasizing Total Body Balance as an important component of surgical success. K2M will demo the BACS Surgical Planner, a surgical image measuring technology that assists in planning and preoperative implant selection. For more information on K2M’s complete product portfolio, visit www.K2M.com. For more information on Balance ACS, visit www.BACS.com. 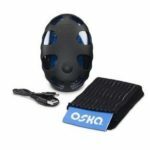 This press release contains forward-looking statements that reflect current views with respect to, among other things, operations and financial performance. Forward-looking statements include all statements that are not historical facts such as our statements about our expected financial results and guidance and our expectations for future business prospects. In some cases, you can identify these forward-looking statements by the use of words such as, “outlook,” “guidance,” “believes,” “expects,” “potential,” “continues,” “may,” “will,” “should,” “could,” “seeks,” “predicts,” “intends,” “plans,” “estimates,” “anticipates” or the negative version of these words or other comparable words. Such forward-looking statements are subject to various risks and uncertainties including, among other things: our ability to achieve or sustain profitability in the future; our ability to demonstrate to spine surgeons the merits of our products and retain their use of our products; pricing pressures and our ability to compete effectively generally in our industry; collaboration and consolidation in hospital purchasing; inadequate coverage and reimbursement for our products from third-party payors; lack of long-term clinical data supporting the safety and efficacy of our products; dependence on a limited number of third-party suppliers; our ability to maintain and expand our network of direct sales employees, independent sales agencies and international distributors and their level of sales or distribution activity with respect to our products; proliferation of physician-owned distributorships in the industry; decline in the sale of certain key products; loss of key personnel; our ability to enhance our product offerings through research and development; our ability to manage expected growth; our ability to successfully acquire or invest in new or complementary businesses, products or technologies; our ability to educate surgeons on the safe and appropriate use of our products; costs associated with high levels of inventory; impairment of our goodwill and intangible assets; disruptions to our corporate headquarters and operations facilities or critical information technology systems, distributors or surgeon users; our ability to ship a sufficient number of our products to meet demand; our ability to strengthen our brand; fluctuations in insurance cost and availability; our ability to comply with extensive governmental regulation within the United States and foreign jurisdictions; our ability to maintain or obtain regulatory approvals and clearances within the United States and foreign jurisdictions; voluntary corrective actions by us or our distribution or other business partners or agency enforcement actions; recalls or serious safety issues with our products; enforcement actions by regulatory agencies for improper marketing or promotion; misuse or off-label use of our products; delays or failures in clinical trials and results of clinical trials; legal restrictions on our procurement, use, processing, manufacturing or distribution of allograft bone tissue; negative publicity concerning methods of tissue recovery and screening of donor tissue; costs and liabilities relating to environmental laws and regulations; our failure or the failure of our agents to comply with fraud and abuse laws; U.S. legislative or Food and Drug Administration regulatory reforms; adverse effects of medical device tax provisions; potential tax changes in jurisdictions in which we conduct business; our ability to generate significant sales; potential fluctuations in sales volumes and our results of operations over the course of the year; uncertainty in future capital needs and availability of capital to meet our needs; our level of indebtedness and the availability of borrowings under our credit facility; restrictive covenants and the impact of other provisions in the indenture governing our convertible senior notes and our credit facility; continuing worldwide economic instability; our ability to protect our intellectual property rights; patent litigation and product liability lawsuits; damages relating to trade secrets or non-competition or non-solicitation agreements; risks associated with operating internationally; fluctuations in foreign currency exchange rates; our ability to comply with the Foreign Corrupt Practices Act and similar laws; our ability to implement and maintain effective internal control over financial reporting; potential volatility in our stock price; our lack of current plans to pay cash dividends; our ability to take advantage of certain reduced disclosure requirements and exemptions as a result of being an emerging growth company; increased costs and additional regulations and requirements as a result of no longer qualifying as an emerging growth company as of December 31, 2017; potential dilution by the future issuances of additional common stock in connection with our incentive plans, acquisitions or otherwise; anti-takeover provisions in our organizational documents and our ability to issue preferred stock without shareholder approval; potential limits on our ability to use our net operating loss carryforwards; and other risks and uncertainties, including those described under the section entitled “Risk Factors” in our most recent Annual Report on Form 10-K filed with the SEC and our Quarterly Report filed with the SEC on August 2, 2017, as such factors may be updated from time to time in our periodic filings with the SEC, which are accessible on the SEC’s website at www.sec.gov. Accordingly, there are or will be important factors that could cause actual outcomes or results to differ materially from those indicated in these statements. These factors should not be construed as exhaustive and should be read in conjunction with the other cautionary statements that are included in this release and our filings with the SEC. MARIETTA, Ga., Nov. 30, 2017 /PRNewswire/ — MiMedx Group, Inc. (NASDAQ: MDXG), the leading biopharmaceutical company developing and marketing regenerative and therapeutic biologics utilizing human placental tissue allografts with patent-protected processes for multiple sectors of healthcare, announced today its preliminary expectation for fourth quarter of 2017 revenue to exceed the $88 million high end of its fourth quarter revenue guidance range. MiMedx® is the leading biopharmaceutical company developing and marketing regenerative and therapeutic biologics utilizing human placental tissue allografts with patent-protected processes for multiple sectors of healthcare. “Innovations in Regenerative Medicine” is the framework behind our mission to give physicians products and tissues to help the body heal itself. We process the human placental tissue utilizing our proprietary PURION® Process among other processes, to produce safe and effective allografts. 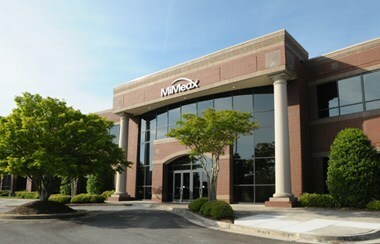 MiMedx proprietary processing methodology employs aseptic processing techniques in addition to terminal sterilization. MiMedx is the leading supplier of placental tissue, having supplied over 1 million allografts to date for application in the Wound Care, Burn, Surgical, Orthopedic, Spine, Sports Medicine, Ophthalmic and Dental sectors of healthcare. For additional information, please visit www.mimedx.com. This press release includes forward-looking statements, including statements regarding its revenue expectations for the 2017 fourth quarter and full year and its expectations regarding the timing of additional guidance. These statements also may be identified by words such as “believe,” “except,” “may,” “plan,” “potential,” “will” and similar expressions, and are based on our current beliefs and expectations. Forward-looking statements are subject to significant risks and uncertainties, and we caution investors against placing undue reliance on such statements. Actual results may differ materially from those set forth in the forward-looking statements. Among the risks and uncertainties that could cause actual results to differ materially from those indicated by such forward-looking statements include the risk that the Company’s revenue for the 2017 fourth quarter and full year may not materialize as expected; sales momentum may slow at the end of the year; and the Company may be unable to meet expected dates for future guidance. For more detailed information on the risks and uncertainties, please review the Risk Factors section of our most recent annual report or quarterly report filed with the Securities and Exchange Commission. Any forward-looking statements speak only as of the date of this press release and we assume no obligation to update any forward-looking statement. 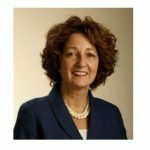 PLYMOUTH, Minn.–(BUSINESS WIRE)–Rotation Medical Inc., a medical device company focused on developing new technologies to treat rotator cuff disease, today announced results of a study published online in the Journal of Shoulder and Elbow Surgery that shows the company’s Bioinductive Implant consistently heals rotator cuff tears and mitigates tear progression. 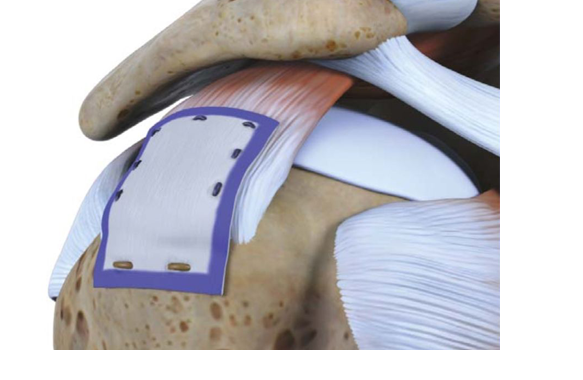 The Rotation Medical Bioinductive Implant is part of the company’s novel rotator cuff system for rotator cuff repair and a new alternative to traditional surgical repair. Clinical scores improved significantly (p<0.0001), and mean tendon thickness increased by 2.0 mm (p<0.0001); new tissue was indistinguishable from the underlying tendon. 94 percent of patients experienced complete healing or considerable reduction in defect size; consistent partial to complete fill-in of the original bursal, intrasubstance and articular partial-thickness tear defects were observed as early as three months postoperatively, with sustained efficacy through 12 months. 94 percent of patients either agreed or strongly agreed that they were satisfied with the results of their surgery. No tears progressed to full-thickness in patients who followed the postoperative rehabilitation protocol. No serious adverse events related to the implant were reported. The study, “Radiologic and clinical evaluation of a bioabsorbable collagen implant to treat partial-thickness tears: a prospective multi-center study,” adds to the growing body of literature supporting the use of the Rotation Medical Bioinductive Implant as a novel treatment for rotator cuff injury. Additional publications and information about the Rotation Medical rotator cuff system are available on the company’s website. Rotator cuff damage is the most common source of shoulder pain, affecting more than 4 million people annually in the U.S. Traditional approaches to treating degenerate or torn rotator cuffs often do not address the poor quality of the underlying tendon tissue, and a significant number of these tendons, after standard treatment, either degenerate further and/or re-tear. 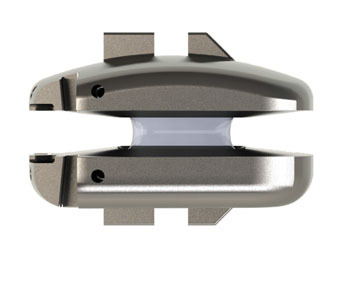 Cleared by the U.S. Food and Drug Administration in March 2014, the Rotation Medical Bioinductive Implant is designed to address both the biomechanics and biology required to heal a rotator cuff tendon tear by inducing new tissue growth at the site of implantation, resulting in increased tendon thickness and healing of tendon defects with new tissue growth. The collagen-based implant is about the size of a postage stamp and it is part of the Rotation Medical rotator cuff system, which also includes disposable instruments that allow the arthroscopic procedure to be performed easily and quickly. For important safety information, visit http://rotationmedical.com/our-solution/risks/. Rotation Medical Inc. was founded in 2009 and is committed to improving the treatment of rotator cuff disease with the Rotation Medical rotator cuff system, a breakthrough technology that has the potential to prevent rotator cuff disease progression and reduce re-tears by inducing the growth of new tendinous tissue. The company is privately held and funded by New Enterprise Associates (NEA), Life Sciences Partners (LSP) and Pappas Ventures. For more information, visit http://www.rotationmedical.com/. 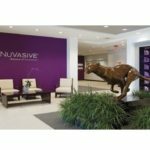 NEW YORK–(BUSINESS WIRE)–PAVmed Inc. (Nasdaq: PAVM, PAVMW), a highly differentiated, multiproduct medical device company, today announced that it has filed a 510(k) premarket notification submission with the U.S. Food and Drug Administration (FDA) for its CarpX™ minimally invasive device designed to treat carpal tunnel syndrome. 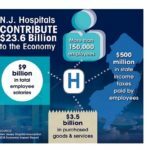 With offices in Or Akiva, Israel and Princeton, NJ, Regentis Biomaterials is a privately held company focused on developing and commercializing proprietary hydrogels for tissue regeneration. The company’s core technology is Gelrin™, a biodegradable hydrogel based on polyethylene glycol diacrylate and denatured human fibrinogen originally developed at the Technion – Israel Institute of Technology by Dr. Dror Seliktar. The Gelrin hydrogel platform combines the stability and versatility of a synthetic material with the bio-functionality of a natural substance for a range of clinical applications. For more information, please visit http://www.regentis.co.il. Kleinostheim, Germany / Research Triangle Park, NC, USA, November 2, 2017 – curasan Inc., the US-subsidiary of curasan AG (ISIN DE0005494538), a leading medical supplier specializing in dental and orthopedic biomaterials, announced a private label distribution agreement with Xtant Medical (NYSE:XTNT Belgrade, Montana USA), a leader in the development and distribution of regenerative and orthopedic fixation medicine products. Xtant Medical will distribute several key orthopedic curasan products in the USA and Canada utilizing curasan’s flagship CERASORB foam technology using Xtant’s brand Matriform. With the addition of Matriform foam to Xtant’s portfolio, Xtant will now offer an innovative synthetic platform with demonstrated clinical results and excellent handling characteristics complementing their current allograft and hardware portfolio ultimately providing surgeons with a choice in grafting materials. “Thanks to the cooperation with such a forward-thinking company as Xtant Medical we will expand our distribution footprint within North America substantially,” said Michael Schlenk, CEO of curasan AG. 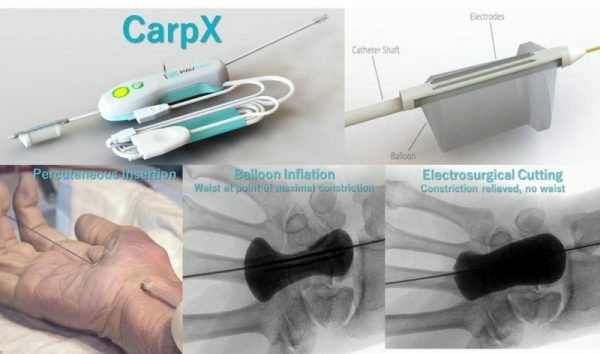 “Xtant has a great reputation for providing innovative and relevant products to orthopedic surgeons.” Therefore, curasan expects the first significant sales from the cooperation in 2018.
curasan develops, manufactures and markets biomaterials and medical devices in the field of bone and tissue regeneration, wound healing and osteoarthritis therapy. As a pioneer and global technology leader in the growing field of regenerative medicine, curasan is specialized primarily on biomimetic bone grafting materials for dental, oral/maxillofacial, orthopedic and spinal applications, i.e. materials mimicking biological structures. Numerous patents and a broad record of scientific publications demonstrate the clinical success of the products and the highly innovative strength of curasan. Dental and orthopaedic clinicians worldwide benefit from the broad range of the premium quality and easy to use portfolio offered by the technology leader curasan. curasan maintains its own high-tech facilities for research, development and manufacturing of biomaterials in Frankfurt/Main, Germany. In addition to its headquarters, the company has a subsidiary, curasan, Inc., in the Research Triangle Park area, near Raleigh, N.C., USA. curasan’s innovative products are cleared by the US Food and Drug Administration (FDA) and many other international authorities and available in almost 50 countries worldwide. curasan AG is a public company listed in the General Standard at the Frankfurt Stock Exchange. 02.11.2017 Dissemination of a Corporate News, transmitted by DGAP – a service of EQS Group AG. Kleinostheim, 30 November 2017 – curasan AG (ISIN DE0005494538), a leading specialist for medical products in the field of orthobiologics, has signed an exclusive distribution agreement with Implantcast GmbH, Buxtehude, Germany. Already starting mid-December the worldwide acting orthopedics company, specialized on primary-, revision- and tumor endoprosthesis will market curasan AG’s bone regeneration materials (CERASORB(R)) in Germany, Austria and Switzerland. “The cooperation of the two companies will go beyond pure distribution. For example, we also agreed on a joint concept for the inclusion of key opinion leaders, on common medical monitoring projects and studies with leading centers for endoprosthesis as well as on collaborative participation in congresses, symposia and advanced training courses for clinical users”, adds Florian Früh, Head of Product Management of curasan AG. “Our joint measures shall emphasize the importance of the synergies existing between innovative individual implant solutions for the patient and therapies for complete bone regeneration”. Both parties consider to expand the distribution agreement also to other countries with an existing Implantcast sales network. Implantcast GmbH is a highly-specialized and innovative medical technology company based in Buxtehude near Hamburg, Germany. Today, Implantcast has more than 480 employees. The company operates in the fields of product development, manufacturing, sterile packaging as well as sales and distribution of primary, revision and tumor endoprosthesis to offer an ideal solution for each individual patient. The company also has a worldwide sales network with 10 sales offices and more than 65 sales partners. Its headquarters and R&D are located at Buxtehude, the place of foundation. From here all cooperation partners are provided with endoprosthetics and instruments and in the future also with bone regeneration materials. 30.11.2017 Dissemination of a Corporate News, transmitted by DGAP – a service of EQS Group AG. 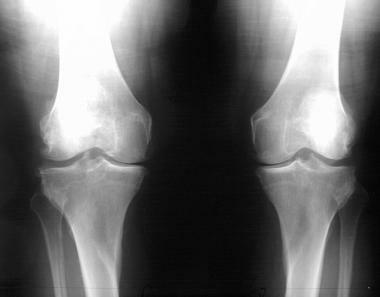 Bad knees sideline athletes and mere mortals alike.About 14 million Americans have osteoarthritis of the knees severe enough to cause pain and inflammation, according to the Arthritis Foundation, and more people are getting the condition — also known as OA — as they age. 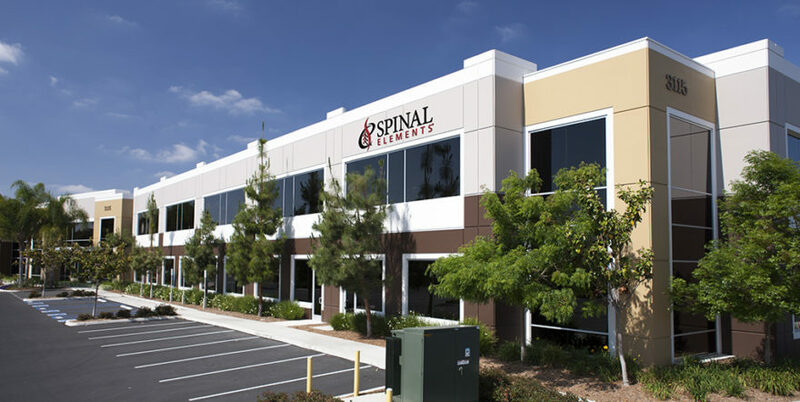 Spinal Elements, Inc. today announced plans to move its global headquarters to its Carlsbad, California location. Concurrent with this move, Jason Blain, co-founder of Spinal Elements and currently its President and COO, will assume the role of President and CEO. This change is effective immediately. Spinal Elements is an outcomes-driven spinal surgical solutions company with locations in Carlsbad, CA and Marietta, GA. A leading designer, developer, manufacturer and marketer of innovative medical devices used in spinal surgical procedures, our mission is to combine leading medical device technologies, biologics and instrumentation to create positive surgical outcomes that exceed surgeon and patient expectations. For more information, please visit http://www.spinalelements.com.